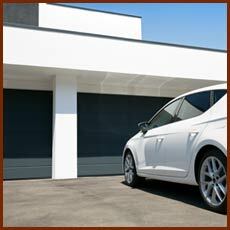 The thing with garage doors is that a minor issue can quickly turn into a major one. That is why you should never ignore it when you notice that one or more of the garage door parts don’t work as they should. 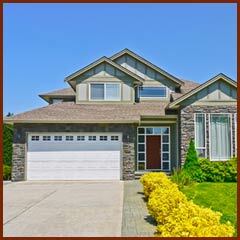 Instead, contact 5 Star Garage Doors at any time for repairs. This will cost you a little bit of money now, but it could result in a much greater expense later or even the loss of your garage door. It’s also important to not tackle the repair work yourself and instead wait for us to arrive. We promise it won’t take long. 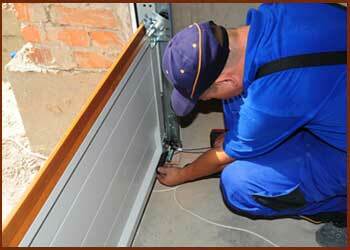 When we complete garage door repair service, we aim to exceed your expectations and not simply meet them. We always take the time to explain what we are doing and the reason we are doing it. If you seem to be having a lot of repair issues lately, we recommend scheduling regular preventive maintenance appointments with 5 Star Garage Doors. Our technicians will analyze all of the mechanical components of your garage door and give them the attention they need to remain reliable. 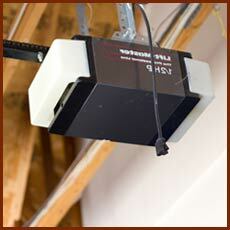 When your garage door goes up or down, it is because all of its complex parts are working together. When one part breaks or becomes worn, it affects all of the other parts as well. This can be a frustrating situation, especially when it seemed like the problem was a simple one. As eager as you are for the garage door to work properly, please refrain from trying to fix it by yourself. Our team has years of education and experience providing the exact repairs you need. Every garage door inspection that we complete includes a review of all components, including the tracks, cables, springs, and even the remote control. 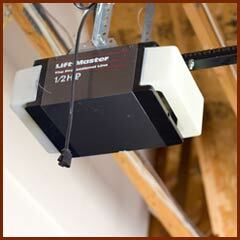 We do this to ensure that the garage door as a whole is safe and functional. Some of the other functions we perform include adding lubrication to components that require it, checking for broken springs and locks, adjusting spring tension, and several others. We provide you with a written report of everything we check as well as personalized service recommendations. The most common reason for garage doors to become damaged is that the parts wear down after many years of everyday use. Damage can also occur when someone hits the garage door with a vehicle, due to the effects of severe weather, or any number of reasons. While the causes may differ, the result is the same. Your garage door is damaged and you can’t use it as intended. In severe cases, the garage door may crash down suddenly and cause extensive injuries and property damage. Whatever the cause, contact 5 Star Garage Doors 24 hours a day for a quick resolution. The tracks on the right and left sides of your garage door are what enable it to go up and down normally. However, this function stops working when the door goes off the tracks. This can happen due to a foreign object blocking its path or normal daily wear. The most dangerous situation is when the cables of the garage door snap without warning. When this occurs, it typically affects only one side of the garage door while it is moving from a closed to open position. Trying to get a garage door back on track could result in it falling on top of you. It’s just not a risk worth taking, especially when 5 Star Garage Doors is available 24 hours a day and can be there at a moment’s notice. Our experienced journeymen will determine the cause of the off-track situation and get it working again in no time. The tension strength of your garage door springs must be equal in weight to the door itself. If the door weighs 200 pounds but the springs can only hold 150 pounds of tension, it could result in a disastrous situation. 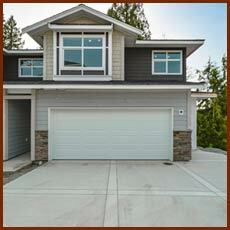 In fact, weight variations are behind many of the repair issues with garage doors. If you feel there is a discrepancy we should investigate, contact our company for immediate services. It’s one of the most important things you can do for your own safety as well as that of your family, employees, or customers. Wherever you are located in Austin, TX, our trained technicians will arrive at your footstep in less than an hour.